"This legislation would have an initial price tag of $2.5 million in year one," said D.C. Council's Committee of Education Chairman David Grosso. "Then, of course, it increases throughout the years." WASHINGTON — A bill that would provide free lunch for all students in D.C. public schools would carry a steep cost for taxpayers, council members revealed Thursday during a hearing in front of the D.C. Council’s Committee on Education. 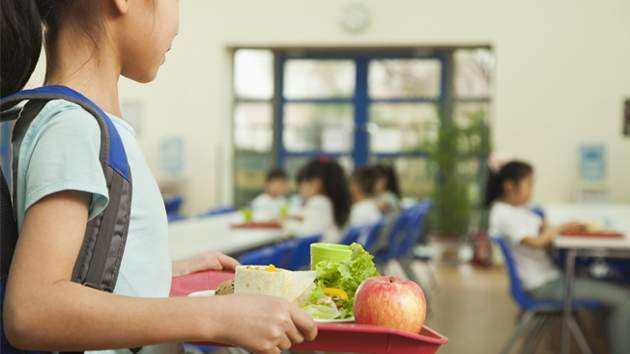 Under the bill, students would receive free lunch in public schools, public charter schools and some private schools that choose to participate. Students already receive free breakfast in District schools. Many students already qualify for free or reduced-price lunches under federal guidelines, but other families report spending around $50 per student each month on lunch, Todd said. “If you have multiple children, this can add up quite quickly,” he said. According to Todd, the legislation would address “lunch shaming.” He said there is a stigma attached to students who do not have the cash to pay for meals. School districts in other major cities, including New York, Boston and Detroit, offer free lunch for all. However, some education leaders in the District are skeptical about going along with the proposal. “The intent of the legislation is certainly understandable and has our students in mind,” said Hanseul Kang, D.C.’s state superintendent of education, who went on to voice concerns about the cost. Kang suggested that the council may be better off working to “continue to maximize” federal reimbursement for meals rather than spending more money on the local level.